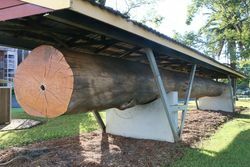 Giant cedar log donated to the Lismore City Council in 1968, as a memorial to the first cedar-getters of this area. 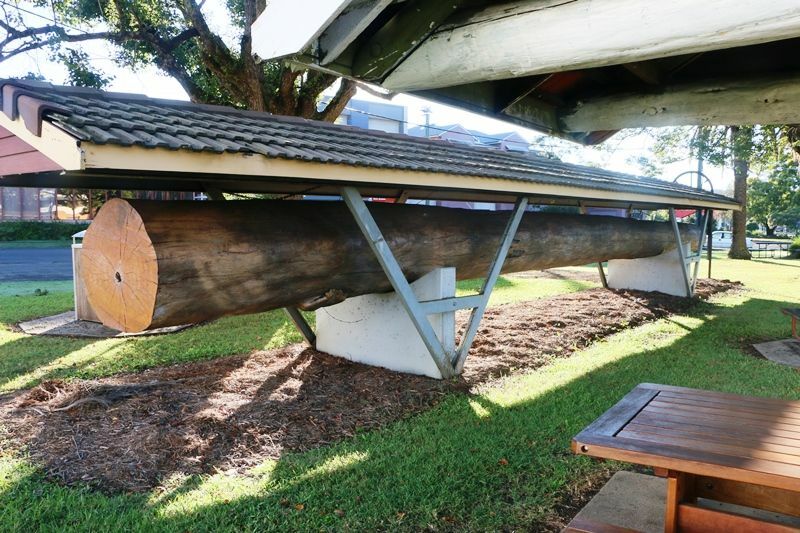 The first cedar camp on the Richmond River was established by Steve King near Coraki, by the spring of 1842. The heyday of the timber trade was in the 1870s when schooners, barquentines and red cedar and hoop pine rafts plied the River. The forests echoed to the sounds of axes, crosscut saws, pitsaws, squaring axes and bullock teams. By 1900 most of the `Big Scrub` had been cleared and the red soil supported dairying industry.